Don't you just love Autumn? The trees turn to beautiful shades of amber and brown, the Chelsea boots come back out of hiding, everything comes in a pumpkin flavour, and oh yeah... HALLOWEEN! It's arguably the best night of the year, with girls spending hours upon hours getting dressed up into the coolest costumes and makeup. I personally like to go out several times during Halloween week (having a fangtastic time doing so). I've put together a little witchlist - see what I did there? - so you can show some love to the spooky season! The Glam - Bunnies kill too! The Sassy - Poor, hungover, still cuter than you. What are you going as for Halloween? And which look is your favourite? Let me know in the comments and have a fab time whatever you're doing this year. I have a Suicide Squad themed makeup tutorial coming soon too so keep an eye out, it'll be killer! I love The Sassy. 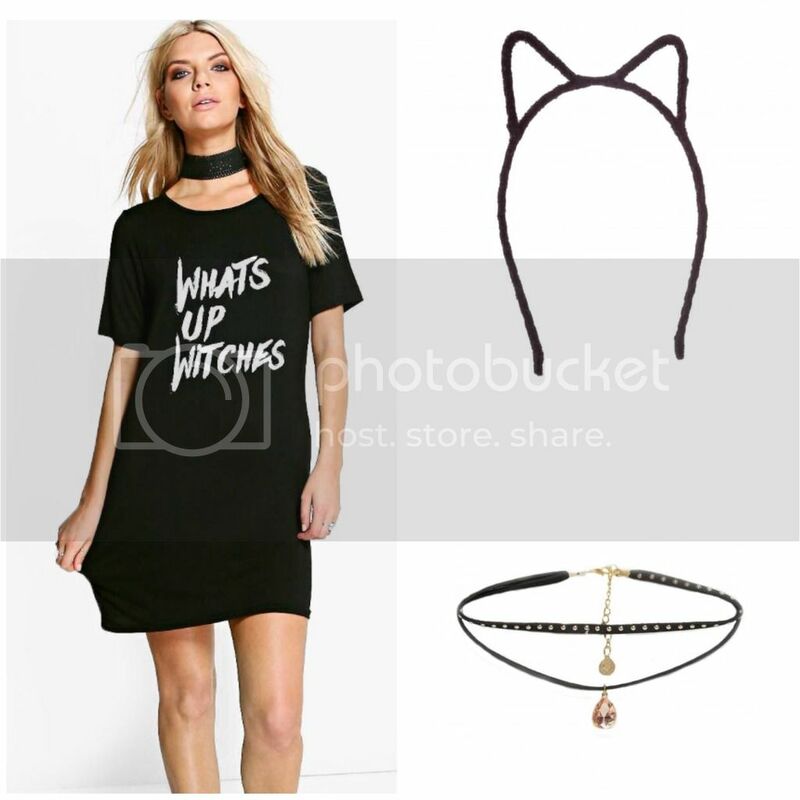 I've also fallen in love with the choker, it's so cute! I really like the first look! However I'd definitely wear all of them. I especially love that berry choker. I might treat myself to it to spruce up my boring black outfits! I love the sassy look! 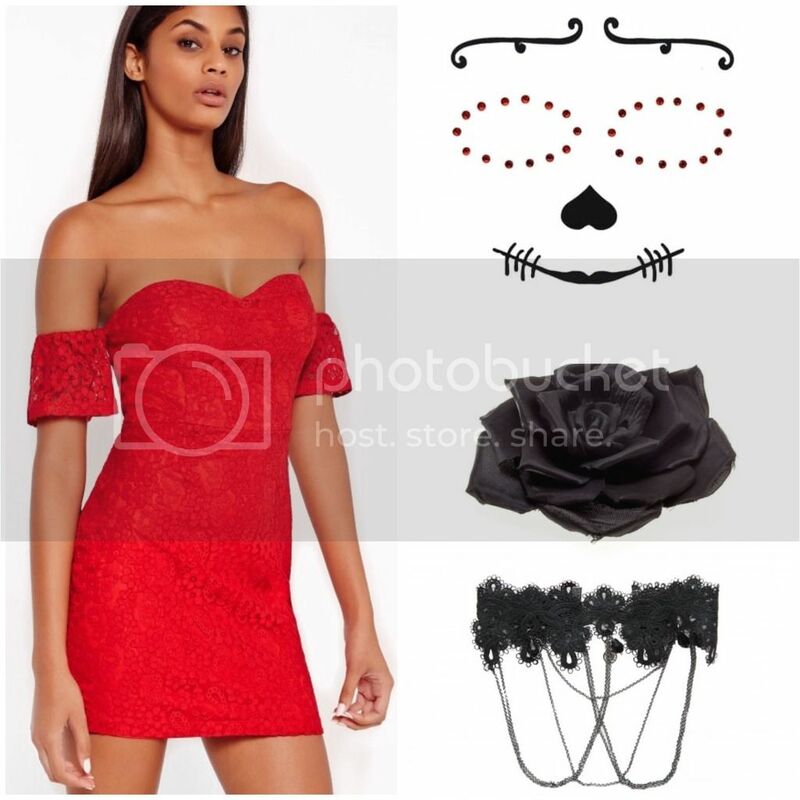 That red dress is goooooorge :) I'm not big on Halloween so always try to dress up as something that doesn't require much effort if I go anywhere!